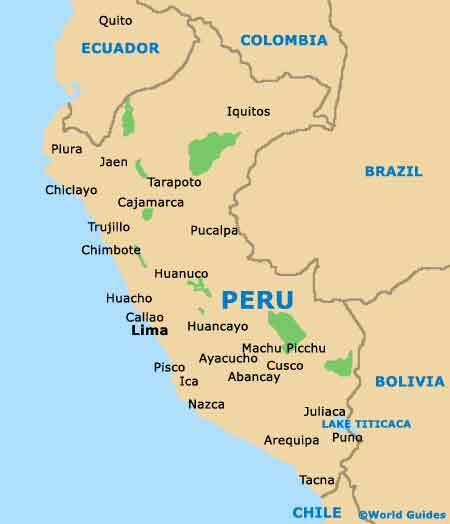 Peru's premier fishing port, Chimbote stands within the Ancash region, where it has grown to become the biggest city. 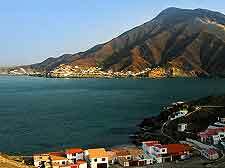 The city is located on the north-westerly coastline of Peru, with good access to the Santa River valley, and directly to the north of Lima, alongside Chimbote and just a relatively short distance to the south of Trujillo. Chimbote is within easy reach of the North Pan-American Highway and whilst the city may not be a leading tourist destination in Peru, many visitors often pass through and stay overnight, on their way southwards to Huaraz, Huacho or Lima, along the Canón del Pato stretch. 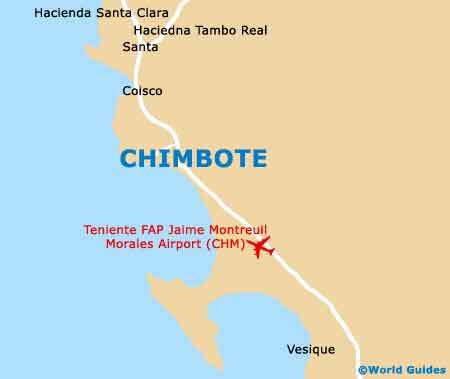 With a population of around 340,000 residents, Chimbote is divided into a total of no less than seven main areas. These are the districts of Cáceres del Perú, Coishco, Macate, Moro, Nepena, Nuevo Chimbote, Samanco and also Santa. Maps are only really needed for tourists who plan to head outside of the city, particularly those with their own set of wheels.